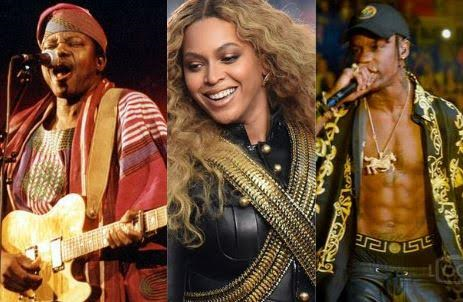 Juju veteran, King Sunny Ade, is set to perform alongside some of the world’s biggest artistes at Coachella Valley Music and Arts Festival. Organised annually, Coachella is a world famous festival that features many genres of music including rock, indie, hip hop, electronic dance music and art installations and sculptures. KSA will share the Coachella stage with Beyonce, Bon Iver, Future, Kendrick Lamar, Tory Lanez, Kehlani, Gucci Mane, Travis Scott, among others. This year’s Coachella festival will hold at the Empire Polo Club, Indio, California, USA from April 14-16, 2017. KSA is the first Grammy-nominated Nigerian musician and the only Nigerian performing at Coachella 2017. In 2016, the music legend marked his 70th birthday in an elaborate manner, ending the celebration with a grand concert. King Sunny Ade is expected to perform on Sunday, April 16.